Relocation notice: Effective 24 August 2009 the notebook section of www.historiae.org will move to a new home at gulfanalysis.wordpress.com. The new site offers features like RSS subscription, comments, thematic indexes and archives. The latest series of violent attacks against Shiite targets in Iraq has prompted the usual outpouring of stereotypical readings by international media, with the dynamics at play invariably described as sectarian “Sunni-Shiite” or ethno-sectarian “Shiite-Kurdish” in character. This tendency is at its most pronounced in the case of the Khazna Tepe village in Nineveh governorate, where the largely Shiite Shabak minority was targeted and suffered some of the heaviest human and material losses seen in Iraq since the withdrawal of American troops from urban areas on 30 June. The Shabak are a minority with a distinct language that combines elements of Kurdish, Turkish, Farsi and Arabic; in terms of religion they are majority Shiite with a minority of Sunnis. But while leaders of the Shabak aspire to treatment as a separate ethnic minority within Iraq, numerous other communities have tried to impose their own preferred narratives in dealing with them, and it is to these dominant discourses most journalists covering the latest developments now turn. For example, there is the practice of labelling the Shabak as “Kurds”. This reflects a conscious strategy by the Kurdish regional authorities to assert control of the Shabak (who inhabit a series of villages in what the Kurds consider “disputed” parts of the Nineveh governorate), partly by assimilating them and partly by trying to co-opt their leaders. A competing narrative emanates from certain Assyrian Christian leaders inside and outside Iraq (not least outside it), who through highly imaginative readings of the Iraqi constitution of 2005 want to prepare the ground for the establishment of a federal “minorities region” in those parts of the Nineveh governorate that are known as the “Nineveh plains”. (The strategy refers to article 125 of the Iraqi constitution which guarantees the “administrative, political, cultural, and educational rights of the various nationalities, such as Turkomen, Chaldeans, Assyrians, and all other constituents”; to read this as a green light for a second federalisation track is far-fetched in the extreme but some of these people are taken very seriously in Washington, D.C.) The idea of a separate “Assyrian” nation is in itself something of an imposition on the majority of indigenous Iraqi Christians (many of whom prefer to refer to themselves as “Iraqis of the Chaldean religion”) by an elite with ties to the Nestorian refugees from Hakkari in present-day Turkey who arrived in Iraq as late as during the First World War, but some of these leaders nevertheless think in even bigger terms by construing the demand for a “minority homeland” within Nineveh as a "shared project" between the Christians, Shabak and Turkmen of the region. Shiite Islamists of central Iraq, for their part, will doubtless portray the recent attacks as acts committed by Sunni al-Qaeda and/or remnants of the old regime against Shiite victims. In this cacophony it may be useful to listen to what Shabak leaders themselves are saying about the attacks. So far, their key demands have been the restoration of control by the central Iraqi government, as well as the maintenance of the territorial integrity of the Nineveh governorate. Shabak leaders decry the lack of Iraqi government influence which has enabled the Kurdish Pesh Merga forces and secret police (asayish) to dominate; in the past the Shabak have repeatedly accused the Kurds of enabling these terror attacks, either turning the blind eye to the local situation or even by orchestrating the attacks themselves. A second feature of their demands has been a call for local forces to form part of the security arrangements, but in making this demand Shabak leaders are not resorting to the federalism model favoured by Assyrian activists in DC and their friends on Capitol Hill, but by evoking the concept of tribal “support councils” (majalis isnad) which Prime Minister Nuri al-Maliki introduced in 2008 as part of the domestic security agenda of the central government. In these and most of their previous public statements, Shabak leaders seem to be at one with the dominant Sunni Arab forces of Mosul as represented by the Hadba list and its leader Athil al-Nujayfi – whose own demand that military forces of the (Shiite-dominated) central Iraqi government take control in all of Nineveh represents a remarkable rebuttal of the sectarian paradigm for understanding Iraqi politics. First and foremost, the Shabak are seeking to define themselves as an ethnic minority wihtin an Iraqi nationalist framework, with a neutral position on sectarian issues. 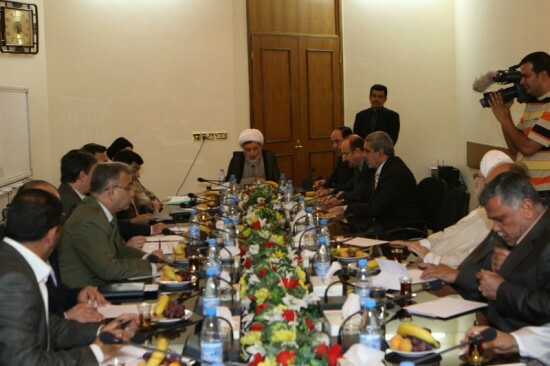 9 August 2009: One Shiite Aliance, Two Shiite Alliances, or a Real Inter-Sectarian Alliance? The amazing range of divergent public statements about the revival of the UIA between May and today seems to suggest that no one is completely in control of the situation. For several weeks, Daawa (Tanzim al-Iraq) members have been circulating rumours to the effect that the 2005 line-up minus Fadila would come together again and that a new political programme had already been agreed upon. Last week, two different Sadrist statements emerged, one suggesting that the re-establishment of the UIA under a new name (the National Iraqi Alliance) was imminent, another saying more negotiations were needed. Predictions about the exact timing of the process have also varied: Some participants in the process have been adamant that a joint declaration would emerge during last week's Shaabaniyya pilgrimage; others maintain that nothing will be made public until November or at least will have to wait until there is an election law. Meanwhile, intra-Shiite relations have been disturbed by the $7 million bank robbery in Baghdad's Karrada district last month. Initially the affair was blamed on "insurgents" but it has since emerged that people rather closer to the centres of power were involved as offenders, including a member of the security detail of Vice-President Adil Abd al-Mahdi. This has once more caused tensions in the Daawa-ISCI relationship, with opponents of ISCI even suggesting that the robbery was part of a scheme to boost the party's finances ahead of the next parliamentary elections. ISCI, for their part, are reportedly furious with the interior ministry (headed by independent Jawad al-Bulani and considered closer to Maliki) for having "exaggerated" the role of Adil Abd al-Mahdi's people in the plot, by blaming it "exclusively" on his guards instead of admitting that "only one" of them was involved... While the incident has not received a lot of attention in the Western press, it was certainly a serious one, with seven Iraqi security guards killed. Today, a previously unknown political movement fronted by one Khalid al-Yawir and claiming support in the Sunni-dominated governorates says it has formally allied itself with Maliki. At the same time an ISCI statement suggests that the "new" UIA coalition will be announced on Thursday and will include "some Turkmens and Kurds". 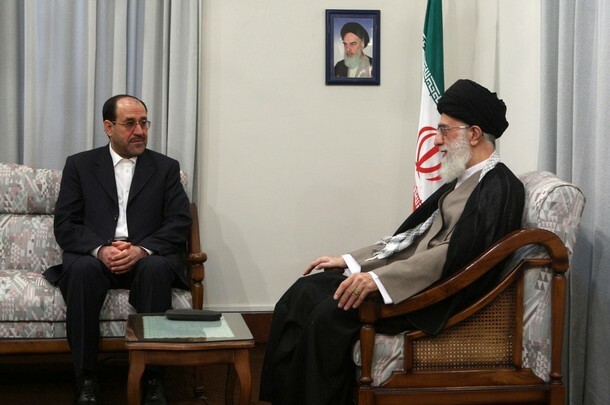 In their current configurations, neither of these two schemes seems particularly promising in terms of real inter-sectarian rapprochement between established political heavyweights, although the Maliki-Yawir alliance could be interesting if it should translate into more widespread cooperation with the awakening forces. We do not know what was said behind the scenes, but it is quite entertaining how the Western mainstream media, by contrast, remain stuck in their own clichés. Here, reconciliation “between Shiites, Sunnis and Kurds” is the only ticket in town, even if this means having to struggle with quotation marks and sometimes even cheat. For example, in a story published yesterday morning, prior to the conference, AP reported, “U.S. officials, while praising improvement in Iraqi security forces, remain deeply concerned that al-Maliki’s Shiite Muslim-dominated government has been unable or unwilling to reconcile with the country's minority Sunni Muslims and Kurds.” (Not a single quote was provided.) Then, after the press conference, another paragraph was added to the story – this is after all the normal way this cut-and-paste industry works. It read, “President Barack Obama said he pressed Iraq’s prime minister on Wednesday to make room in his government and security forces for all ethnic and religious groups to prevent a resurgence of the violence and turmoil that took the country to the verge of civil war.” Of course, at no point had Obama referred to anything to do with cabinet or indeed security forces composition (only that the latter would have to behave in a non-sectarian fashion in order to continue to receive US backing). 31 May 2009: Here We Go Again? 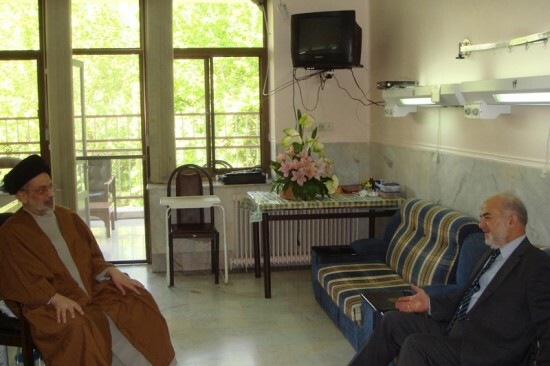 Maliki Visits Hakim in Tehran to Discuss a "Consolidation of the UIA"
Ostensibly, the visit by Maliki to Tehran was for "private" reasons, but he did manage to find time in his schedule to visit Abd al-Aziz al-Hakim of ISCI. According to a press release, both men stressed the importance of "strengthening" the United Iraqi Alliance. Meanwhile, whereas Maliki’s comments to al-Hurra television on 14 May about “majority rule” have been rendered with an unduly sectarian tinge in Western media (he also condemned the concept of sectarian-based alliances), it does seem both significant and worrisome to those who prefer a non-sectarian political atmosphere that he did participate on 20 May in a meeting presided over by ISCI's Humam Hammudi and aimed at reviving the Shiite-led United Iraqi Alliance (see also entry for 13 May below). The meeting comes in the middle of a hectic round of consultations between ISCI's leader Abd al-Aziz al-Hakim and various leading ISCI and Badr figures, apparently all taking place in Tehran where Hakim is being treated for cancer (photos below). According to a brief press release of today’s date described as “very important” by the Islamic Supreme Council of Iraq (ISCI), Abd al-Aziz al-Hakim has charged another prominent ISCI figure, Humam Hammudi, with the job of reviving the (all-Shiite) United Iraqi Alliance (UIA). The communiqué lists the achievements of the UIA until this date but warns that Iraq's future challenges, and especially the threat from insurgents (whether Islamists or Baathists), are such that no disunity between the UIA components can be allowed. 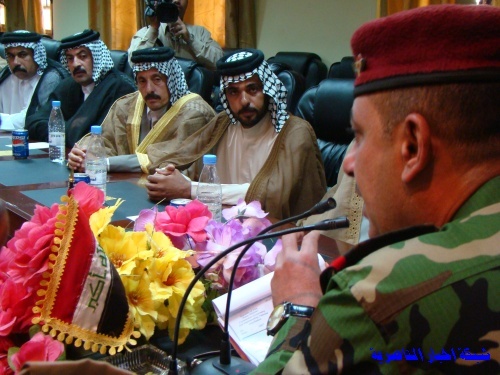 10 May 2009: Maliki Makes a Concession to Basra Regionalism? However, while the relevant constitutional clauses focus on deprivation, the link to Basra’s role as producer has other roots. The half-dollar deduction will meet a long-standing demand by Basra politicians that their area’s role as the kingpin of Iraq’s economy be reflected in some kind of special political privilege. Actually, back in December 2007, Basra politicians of the Fadila party proposed an arrangement which is remarkably similar to what is now being talked about as a governmental "decision": Basra should receive one dollar per barrel of oil exported from the south. The difference between Fadila in 2007 and Maliki in 2009 of half a dollar can reasonably be attributed to the general decline in oil prices and a bit of bazaar-style haggling between centre and periphery. 25 March 2009: The Powers That Be Feel the Pinch – Or Even an Identity Crisis? 5 March 2009: Imposing the Law? What Law??? In an interesting move, a member of Hizb al-Daawa (Tanzim al-Iraq), Abd al-Hadi al-Hasani, has signalled sympathy with the views of the opposition in the question of who should succeed Mahmud al-Mashhadani as parliamentary speaker (see entry for 23 December 2008 below). While the main coalition partners of Nuri al-Maliki – ISCI and the two Kurdish parties – are determined to elect a Sunni replacement from the remnants of the Tawafuq bloc in order to keep the system of ethno-sectarian quota-sharing afloat (this in turn gives them, as purported representatives of “Kurdish” and “Shiite” interests, even greater privileges), the “opposition” (featuring the Sadrists, the secular Iraqiyya, the breakaway factions of Tawafuq, sometimes Fadila, and occasionally independents) has insisted on an open contest where the speaker should be elected on the basis of merit only. This development echoes tendencies seen in early 2008 when the Daawa factions broke with its coalition partners over statements concerning Kirkuk and oil, and later faced off against the Kurds and ISCI over the provincial powers law. Thus in the question of state structure, the division lines between the nationalist opposition and the largely pro-federal government are blurred, because here Daawa sympathises with the view of the opposition, though without letting this bring about a change of its coalition partners. The contradictions of this position became clear in Wasit recently, where a quarrel between an Iraqiyya candidate and Daawa reportedly prompted Nuri al-Maliki to abruptly appoint a new police chief – a decision which ISCI members in the local council in turn seized on in order to make the case for their decentralisation agenda (though this time rather modestly so, with a reference to the Transitional Administrative Law, and on behalf of the existing governorate rather than in the name of any imagined federal entity). More than one Daawa politician have recently hinted at a possible plot aimed at unseating Maliki, but it is also possible that this latest move in parliament could be yet another attempt at playing the centralist/nationalist card in the context of the upcoming provincial elections. PS: On 19 January, the Iraqi parliament decided to postpone the vote on a new parliamentary speaker until 4 February (i.e. after the 31 January provincial elections), thereby effectively depriving Iraqi voters of an opportunity to see for themselves which parties are truly sincere when they claim they are against ethno-sectarian quotas and in favour of a strategy that puts Iraq first. The Sadrist bloc has today officially confirmed that it does indeed support the “Blamelessness and Reconstruction” list in the forthcoming local elections (list 376; as discussed earlier here), in addition to the “Independent Trend of the Noble Ones” (Tayyar al-ahrar al-mustaqill, list 284). In Maysan, for example, some Sadrist members of the current provincial council now appear on list 284; others are on list 376. List 284 is also running in some northern governorates where 376 does not take part, such as Nineveh and Diyala (but not Anbar and Salahaddin). This development underlines the trend towards political participation among the Sadrist bloc in the Iraqi parliament, which was invigorated in 2008 as the party became a key player in the 22 July alliance that challenged the government by demanding early elections (the provincial powers law in February) and special treatment of Kirkuk (the elections law, finally adopted in September). This alliance continues to exercise strong influence in the Iraqi parliament, and Sadrists are currently vocal proponents for a drive to reject Ayad al-Samarrai as new parliamentary speaker after he was nominated by the pro-government Tawafuq alliance (which itself is in the process of being reduced to the Iraqi Islamic Party due to defections to 22 July). The 22 July parties, a cross-sectarian alliance of Islamist and secularist parties, challenge the establishment and their preference for a state model of ethno-religious quota-sharing (muhasasa). 8 January 2009: Baghdad, District of the Green Zone?? So maybe the prospect of a timetabled US withdrawal not involving political reform in Iraq was after all quite acceptable to Tehran? Iranian president Mahmud Ahmadinejad certainly spun it that way after his meeting with Nuri al-Maliki in Tehran, describing the SOFA as a “pact of withdrawal”. 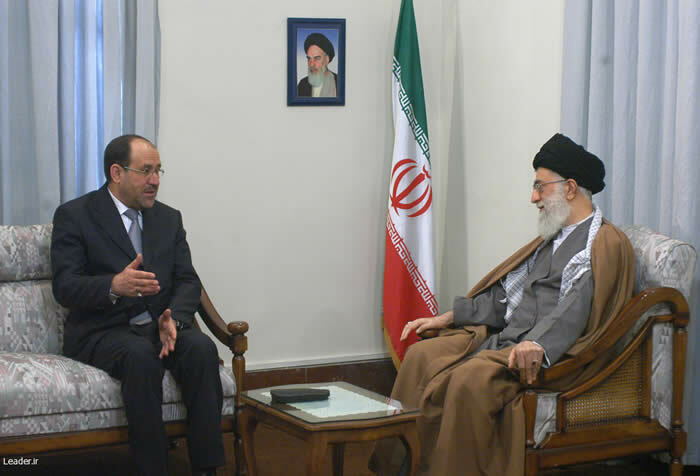 Later, Maliki met with Iran's supreme leader, Ali Khamenei. This time, the Iraqi premier appears to have kept his tie on for the duration of the meeting (he was criticised for not having done so last time, in deference to Iranian post-1979 custom) but this symbolic assertion of Iraqi distinctiveness apart, the Iranian hosts generally seemed pleased about the turn of events in their neighbouring country. ISCI preacher Jalal al-Din al-Saghir on Friday proclaimed that there was a foreign conspiracy at work to “split the vote” in the forthcoming local elections in Iraq. The existence of small parties, in particular, was seen as offensive by Saghir, who encouraged smaller lists to withdraw from the elections as soon as possible to leave space for the bigger parties. But then again ISCI fought hard against these elections in the first place, and later on tried to resist the introduction of open lists and individual candidacies. It seems significant that Sami al-Askari, a close confidant of Nuri al-Maliki, today repeated accusations to the effect that the ethno-sectarian federalists of the Baghdad parliament (KDP, PUK, ISCI, and a reluctant IIP) had plans to try to vote the Iraqi premier out of office. This conspiracy theory was first articulated by ousted parliamentary speaker Mahmud al-Mashhadani some days ago, when he suggested that he was forced out because he stood in the way of a vote of no confidence in Maliki. Askari made his comments during a meeting in Nasiriyya. They are important because they highlight the ideological convergence on some issues between the nationalist 22 July forces and Maliki, who increasingly speaks a centralist language. However, so far this convergence has not been reflected in any political realignment in Baghdad, and Maliki’s electoral coalition for the provincial elections remains quite narrow and sectarian in its composition, with the Daawa as the dominating force. It seems likely that Maliki prefers to wait for the local elections results before contemplating any new political alliances at the national level. For their part, many of the components of the 22 July forces, including Shiite parties like Fadila, continue to express concern about the relatively close relationship between several of the Daawa factions and Iran. Initial press reports on the resignation of Iraq’s parliamentary speaker Mahmud al-Mashaddani have followed a well-established sectarian paradigm: Sunnis are “normally” in a degree of conflict with Shiites and Kurds, and this time even the speaker’s own Sunni supporters abandoned him due to his erratic behaviour and verbal attacks against other MPs. His resignation removed a problem; afterwards the Iraqi parliament, while still seen as “fractious”, passed a law enabling the government to conclude separate agreements concerning the modalities of the drawdown of non-US forces in Iraq. There is a different narrative. A few days ago, representatives of the United Iraqi Alliance (UIA, the remaining 60 per cent of the original Shiite coalition) and the two big Kurdish parties (KDP and PUK) complained that everyone wanted to sack Mashhadani except the “coordinating society” (al-tajammu‘ al-tansiqi). This somewhat secretive-sounding appellation is code for what is also known as the nationalist forces of 22 July, which defeated the Maliki government earlier in 2008 by demanding a timeline for local elections as well as special arrangements for Kirkuk to deal with Kurdish dominance there. Prior to Mashhadani’s resignation, there were supportive statements from various components of the 22 July bloc in support of him (or at least in support of some kind of reconciliatory solution that would prevent a resignation). These statements included Sadrists, the secular Iraqiyya, as well as the “Independent Arab Bloc” (which is closely linked with Mashaddani). In the wake of the resignation, the Fadila party, too, has expressed a degree of sympathy for Mashaddani and said that any resignation should have been followed by a more profound shake-up of leadership positions in the Iraqi parliament. Today’s decision seems to suggest that the pendulum has swung back again, at least temporarily, in Iraqi parliamentary politics. The nationalist forces were on the offensive for much of 2008, scoring significant victories such as the provincial powers law and the elections law. The passing of the SOFA could be interpreted in two ways: another nationalist victory through the concessions from the government in the shape of a “reform pact”, or a surrender by the nationalists to yet more empty promises from Maliki. With the resignation of Mashaddani, the latter interpretation may appear to be more plausible, with Tawafuq once more back in the fold of ethno-sectarian politicians (and already talking of holding on to their “quota” in the shape of the next parliamentary speaker), and an increased likelihood that the promises of reform will come to nothing (members of the 22 July forces complained that their nationalist stance on Kirkuk had caused fury in Kurdish circles, and Mashaddani had specifically attacked both the Kurds as well as UIA representatives, the latter for being “spies”). Those who want to challenge the ethno-sectarian quota system still have possibilities for doing so in the provincial and parliamentary elections in 2009, but the longer the current system persists, the more likely it is to put in place anti-democratic measures that will guarantee its own perpetuation. US authorities have already signalled an intention to make the “losers” in the local elections “understand” that they lost, which does not sound very promising in terms of American ability to address the flaws of the existing framework. The record of how many MPs were actually present for the vote on Mashaddani’s resignation and subsequently gave the green light for more troops agreement has been conspicuously absent from news report so far. 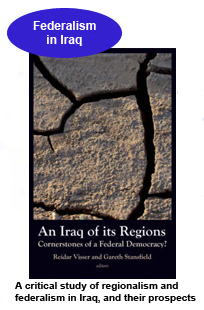 When it emerges, it may say more about the buying power of the Iraqi establishment than about the legitimacy of the solutions arrived at. It should suffice to mention that less than a week ago, 80 members of parliament voted down a similar law on non-US troops agreements against only 68 votes in favour – in one press report this outcome was attributed to the resistance to the law by the 30 or so “lawmakers loyal to radical Shiite cleric Muqtada al-Sadr”! Actually, the voting record as well as reactions to the recent shoe-throwing episode show that national sentiment among the Iraqis is well and alive, and that no matter how much money is used to bankroll the current system at the level of the Green Zone, efforts to conceptually fence the Iraqi nation into separate sectarian compartments are likely to remain unsuccessful in the long run. Postscript: Developments on 24 December seem to lend credence to this interpretation. Hiwar and the Arab Independents are breaking off from Tawafuq, blaming the Iraqi Islamic Party for its betrayal of the concept of a “reform pact”; Mashhadani voices his preference for a Sadrist to succeed him as speaker of parliament and lauds Muntazar al-Zaydi (the shoe-thrower). In the latest developments, people from the 22 July forces have been discussing nominating a candidate from their own ranks to replace Mashaddani, with a cross-sectarian list of possible candidates (including Nadim al-Jabiri and Usama al-Nujayfi) exemplifying the stark contrast between their more ideological approach and the ethno-sectarian quota-sharing muhasasa logic that prevails in the pro-government parties (where a “Sunni” candidate is expected, and where Tawafuq refers to a "deal" earmarking the speaker's position as "theirs".). In a remarkable move, the Kurdish alliance in the Mosul governorate council has reportedly “decided” to postpone the local elections scheduled for 31 January 2009, ostensibly because “refugees” from Mosul currently residing in Kurdistan will not get the opportunity to vote. The move comes after the two biggest Kurdish parties for more than one year have tried to obstruct local elections in Iraq, first voting against a fixed timeline when the provincial powers law was adopted, and later inventing a series of excuses and "problematic issues" (such as "widespread illiteracy") to filibuster the debate on the elections law itself. When these measures failed, Kurdish leaders made up their mind and adopted the position that the Iraqi parliament had no authority to legislate on election affairs in Kurdistan anyway; accordingly no local elections will be held there. More recently, there have been Kurdish attempts to postpone elections in Diyala where there are Kurdish minorities. But what about Mosul and the Nineveh province – in theory an ordinary Iraqi governorate controlled from Baghdad? Can a governorate council override a decision by the Iraqi parliament to hold local elections? Clearly the provincial elections law was adopted on the assumption that this is a sphere of government where Baghdad legislates, otherwise all the longwinded debates about minority representation in particular governorates (including Nineveh) would have been superfluous. In practice, of course, Nineveh is anything but ordinary, with disproportionate Kurdish and Shiite influence due to the widespread elections boycott in 2005. It may be a sign of the times, though, that the five representatives of the Islamic Supreme Council of Iraq (ISCI) voted against the decision in the Mosul council, even if this was a mostly symbolic move as the Kurds have 31 seats and a clear majority. It will be interesting to see how Maliki, the elections commission, and the supreme judicial authorities will react. The reports keep getting more persistent: Nuri al-Maliki is apparently building ties to southern tribes at the expense of – and sometimes to loud protests from – ISCI and Badr. The latest case to receive some attention in the Iraqi press is Nasiriyya and Dhi Qar. Today, leaders of the recently-formed “support councils” (majalis asnad) of Dhi Qar will meet with local security officials, including the police chief (who was appointed by the Iraqi interior ministry and with the support of the Daawa but to strong protests from ISCI in Nasiriyya). At least one Iraqi press report suggests this is an attempt by Maliki to weaken ISCI's local support base in the forthcoming provincial elections. Others who are unhappy about Maliki's scheme include members of the “Council of the shaykhs of the Dhi Qar tribes” which was pro-government back in 2006. Individuals participating in that council include tribal leaders of Bani Hujaym, which also is represented on the provincial council through a shaykh who is an ISCI member. Maliki is supported in his effort by Muhammad al-Uraybi, minister of state, who has ties to the Al Bu Muhammad tribe of Maysan and also has a Wifaq connection. While Obama may be wrong when it comes to the characterisation of the conflict in Iraq as essentially a sectarian one, he is certainly right in thinking in terms of conditionality with regard to US support. A large majority of Iraqis, Shiites and Sunnis, want national reconciliation and constitutional changes, but if the United States does not put pressure on Maliki, he will prefer the more leisurely option of arming the state to deal with dissidents. Also, in relation to the federalism debate, Maliki’s office today issued a statement to the effect that “federal regions should not be stronger than the central government”, although he was magnanimous enough to concede that “federal regions and governorates will not be abolished or rendered ineffectual”…Surely this debate on state structure has changed over the past year or so. In other news, Wifaq and al-Hiwar al-Watani have decided to contest the local elections on a joint ticket, with Hiwar’s leadership specifically rejecting an alliance with (Sunni-dominated) Tawafuq on the grounds that they found it “too sectarian”. That’s a step in the right direction, but where are Fadila, Jaafari's Islah, the UIA independents and the tribal leaders? *Or more probably every third? The original has "At the end of every three winners there should be a woman irrespective of men winning [more votes]". 21 September: ISCI vs the interior ministry in Nasiriyya? Importantly, though, others see it in a different ways: in the context of the stalled debate over the provincial elections law and military operations by the central government in Diyala, Kurdish politician Qadir Aziz today speaks about a conspiracy against the Kurdish cause and he mentions both ISCI and Daawa as part of the conspiracy. In a message attributed to him and published in Kufa on 29 August (but as of yet unconfirmed at many key Sadrist websites) Muqtada al-Sadr supposedly stressed the importance of ejecting the Kurdish peshmerga from Khanaqin so that they can be replaced by Iraqi government forces. If correct, this would serve as another reminder of Muqtada’s intentions to play the Iraqi nationalist card in the north, which he has done previously as well, with major Sadrist demonstrations against federalism in Kirkuk back in 2004. At the same time, Sadr’s insistence on consistency touches on cracks in the alliance between ISCI and Kurds that forms the backbone of the Maliki government: “You were the first to insist on imposing the law in the governorates of the centre and the south of Iraq, so why reject this idea in Khanaqin” Sadr asks. Perhaps tongue in cheek, but still an interesting contrast to 2003 when Sadr at one point contemplated the formation of a “shadow cabinet” to challenge what he described as illegitimate government structures sponsored by the United States. There are problems concerning the portrayal in some media sources of Ali al-Lami – the de-Baathification director captured recently by US forces on suspicion of pro-Iranian activities – as a straightforward “Sadrist”. Lami, whose name suggests a link with the Bani Lam tribe of Maysan in the far south, has a long history of association with Ahmad Chalabi and Abd al-Karim al-Muhammadawi who back in 2005 participated in a party called the “Shiite council” – one of the first Iraqi parties to use Shiite sectarian identity in such an explicit way in its name. Jawad al-Bulani, the current ministry of interior, at one point also belonged to this circle. There are many other individuals in the United Iraqi Alliance who since 2005 have floated between several camps – they include figures like Sami al-Askari and Jabir Habib Jabir. It seems inconceivable that Lami should have been able to hold on to his current position for so long time unless the Maliki regime saw certain advantages in having him there. In a positive development, Senator Joe Biden yesterday refrained from any mention of his previous “plans for Iraq” which include a soft partition scheme and a more recent (and more general) plan for “active federalization”. Instead he referred more generally to Barack Obama’s position on the war in Iraq. What remains for the Democratic Party is to define an exit strategy that does not convert the Iraq situation into a net gain for Iran. As long as the final phase of the US occupation of Iraq involves consolidation of the Maliki regime and the basic system of government adopted in 2005 (rather than a weakening of these two factors) such gains for Iran will be the inevitable outcome. What is missing in Democratic discussion of exit strategies is the realisation that US policies in Iraq from 2003 to 2008 (and specifically Washington’s particular choice of partners among the Shiites) have unintentionally strengthened Iran’s position in Iraq quite considerably, so that leaving Iraq tomorrow would not in any sense mean a return to the status quo ante of 10 April 2003. This point may perhaps seem a little long-winded for an election campaign where there will be a preference for black and white caricatures, but for those who truly care about the political stability of the Gulf region in the long term it should be seen as the fundamental issue. Yesterday, US Ambassador Ryan Crocker explicitly extended his support to a UN proposal of delaying the provincial council vote in Kirkuk apparently without making any substantial changes to the province’s current political line-up, while allowing the vote to go ahead in the rest of Iraq’s governorates. It is noteworthy that this is the model that was earlier rejected by a majority of Iraqi parliamentarians (who favoured a new power-sharing arrangement in Kirkuk in the interim), and was not brought to a vote despite attempts by the government to push it through in early August after the presidential council had vetoed the decision of the Iraqi parliament to create a power-sharing regime in Kirkuk. The upside of the UN approach to Kirkuk is that it is part of a grand strategy of diluting territorial issues in northern Iraq by tackling them piecemeal, starting with the easiest ones. This is a good approach because there are certain “disputed” areas that are not really disputed and which many Iraqis, regardless of ethnic origin, would be quite happy to assign to the Kurdish federal region. This approach would also contain the application of the concept of “disputed territories” to the north – an important factor with regard to political stability given that ISCI in particular has shown a proclivity for thinking in similar terms in the south, for example in possible border adjustments between Karbala and Anbar. Theoretically this could form the basis for a grand compromise on territorial changes in the north that could bring closure to the Iraqi federalism debate and a renewed focus on development issues more broadly. What is less clear is why this process should require a perpetuation of the status quo in the provincial government of Kirkuk. If instead steps towards a modicum of power sharing were implemented, there are greater chances that any grand “final status” deal would enjoy credibility in the eyes of the majority of Iraqis. The proposal of the majority of the Iraqi parliament needs not be the perfect approach, but there is a clearly expressed desire not to carry on with existing arrangements, which are seen as strongly supportive of the Kurdish position. This stance represents a challenge to the forces that see the 2005 constitution and the political set-up it created as a viable way forward, and for the USG to persevere in ignoring the majority of the Iraqi parliament on this issue seems like an almost self-destructive strategy. If anything, the forces that find it difficult to consider Kirkuk as anything other than “Iraqi” – and which therefore are reluctant to acquiesce in what is seen as undemocratic special arrangements for the area – are probably even stronger outside parliament than inside it. Today there is an attempt by Iraqi authorities to gloss over the Diyala episode by blaming it on technical misunderstandings between various arms of the Iraqi security apparatus: the local police versus a special force from Baghdad. This cannot disguise the fact that a week ago, and reportedly by consensus, the provincial council which includes 20 members from the Shiite Islamist camp (many of them ISCI*) voted to oust the police chief, Ghanim al-Qurayshi, whom Baghdad had earlier appointed probably with the support of Nuri al-Maliki and Jawad al-Bulani. Demonstrations against the dismissal, allegedly to a large degree made up of members of the police loyal to Qurayshi, had met with the disapproval of the governor who has ties to ISCI. 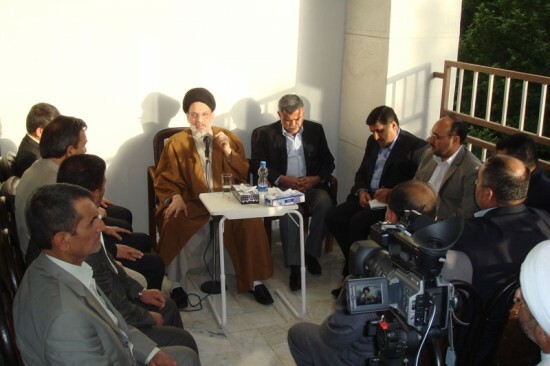 There clearly is some kind of intra-Shiite dimension to this affair, but it remains unclear whether it is a case of a local branch of ISCI cooperating with non-Shiites in a bid to oust an outsider appointed by Maliki, or another example of tension between ISCI and forces more loyal to Maliki. * The list of coalitions from the Iraqi electoral commission dated 20 December 2004 provides the following overview of the constituent elements of the two formal political alliances in Diyala: List 302, the Kurdish-Turkmen-Arab Alliance, made up of PUK and KDP (the two biggest Kurdish parties), and list 339, the Alliance of the Islamic and Nationalist Forces in Diyala, consisting of three elements: Daawa, SCIRI and Badr. In the January 2005 elections, list 302 won 7 seats, list 339 won 20 seats, and list 351, the Sunni-dominated IIP, got 14 seats. Recent events in Diyala provide yet another indication that all is not well inside Iraq’s ruling establishment, especially with regard to its dominant component of Shiite Islamists. Presumably with the support of premier Nuri al-Maliki, Iraqi government forces yesterday raided the premises of Diyala governor Raad Rashid al-Mulla Jawad (linked to ISCI in many reports). Earlier, on 12 August, the chief of police in Diyala was sacked by the provincial assembly, ostensibly because he had promoted “ex-Baathists” to high positions in the local police force. The interior ministry was reportedly unhappy with the action taken by the provincial assembly. On the surface, Diyala seems like a manifest example of the alliance between Kurds and ISCI that forms the increasingly feeble parliamentary backbone of Nuri al-Maliki’s government: these two forces dominate the local assembly and key positions in the local administration. However, these fiefs now appear to be coming under attack from forces loyal to Maliki himself. Before he was accused of promoting “Baathists” in Diyala, the sacked police commander, Ghanim al-Qurayshi, had reportedly been under consideration for transfer to Basra to assume even more important security tasks, suggesting that he has friends close to Maliki. This is not the first time there has been friction inside the Shiite establishment. On 29 May, the provincial council in Dhi Qar rejected the interior ministry’s appointment of Sabah al-Fatlawi, against the votes of the Daawa (Tanzim al-Iraq) branch. Earlier, in February, Daawa along with Fadila had sidelined the provincial security council where ISCI was strong, prompting protests from ISCI about the police forces “becoming politicised”. And all too often it is forgotten that the top Basra security officials that came under attack by ISCI and the Sayyid al-Shuhada movement shortly before the military operation in Basra in March were in fact Maliki appointees. In light of examples like these, it is extremely difficult to maintain the common notion that ISCI has perfect control of the Iraqi security forces in most part of the country, although in the case of Diyala it remains unclear whether this is the result of an internal split inside ISCI (national versus local leaderships) or tensions between ISCI and Daawa. Meanwhile, the corporate media is already feverishly reporting the Diyala developments as a purely sectarian affair, conveniently ignoring the fact that the Sunni Islamist IIP holds only 14 seats out of 41 on the provincial council that voted to oust the Shiite police commander (and whose governor is also a prominent Shiite leader who used to be criticised for ties to Badr). On 16 April 2008 the Iraqi government confirmed that its two top security officials in Basra - General Mohan al-Firayji as well as Abd al-Jalil Khalaf - had been transferred to “high-ranking positions” in the defence ministry in Baghdad. The transfer seems to have been a demotion in everything but the name. It can be useful to briefly recapitulate the circumstances surrounding the rise and fall of these two officers. 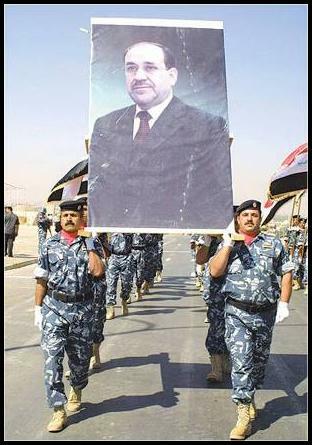 Early in 2007 General Mohan had reportedly been among Nuri al-Maliki’s candidates for leading “the surge” in Baghdad, and when he was sent to Basra in the subsequent summer he was very much seen as Maliki’s man. By the autumn both British and Americans tended to indulge in panegyrics about Mohan whenever questions about Basra’s security situation arose. Such was the faith in one man’s ability to control Iraq’s second city that on many occasions, leading US officials were content to refer to the “tough four-star general” as a guarantor for Basra’s tranquillity. Both Mohan and Abd al-Jalil Khalaf reportedly shared an anti-militia attitude; Khalaf also went further than any of his predecessors in highlighting the plight of Basra women and their exposure to extreme pressures from radical Islamists. Rumours about Mohan’s removal being imminent began circulating in December 2007 and intensified on the eve of the recent Basra clashes, when Maliki travelled to Basra to personally oversee the operations. Thus, Mohan’s decline was in progress prior to the latest showdown with the Sadrists and certainly not something that came about as the result of that fighting. Around a fortnight prior to the operations, Mohan complained about “Iranian” influences in Basra at a time when he and Khalaf were subjected to angry demonstrations by members of the Islamic Supreme Council of Iraq (ISCI) and the Sayyid al-Shuhada movement. Khalaf also had gone quite far in criticising the Sadrists through his singling out of port management (a long-standing Sadrist fief) as a sphere of undesirable militia activity. The replacements for the two demoted officers are reported as Muhammad Jawad Huwaydi (chief of operations) and Adil Dahham (police chief). Background information on the two is sketchy so far, but it is noteworthy that Huwaydi seems to have had some kind of special operations background before he assumed control of the 14th division of the Iraqi army. Unlike Mohan, he is thought to be from outside the area. As for the new police chief, who was previously employed in Baghdad, someone in the defence ministry with an identical name (the new appointee is sometimes referred to as Adil Dahham al-Amiri) was cleared by the de-Baathification committee in early 2007. If this turns out to be the same person, it would suggest a background from the old Iraqi army rather than a long-time connection with ISCI’s Badr Brigades. 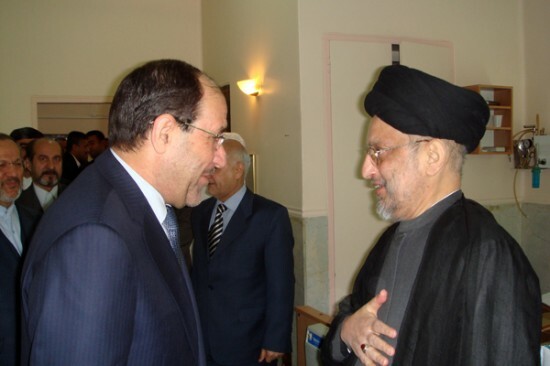 While it is true that there is a conspicuous link here to the early March demonstrations by ISCI/Sayyid al-Shuhada (which specifically requested the dismissal of General Mohan and Abd al-Jalil Khalaf), it is also worth recalling that in the same period, ISCI members circulated rumours about yet another attempt to have Maliki replaced by ISCI’s own Adil Abd al-Mahdi, not least because of dissatisfaction with Maliki’s centralist stance on the provincial powers act. Crucially, the rumours of a replacement of Mohan in Basra antedated all these events. Apparently, then, the dominant parties of the Maliki government have been brought closer together by the latest series of crises, rather than having pursued a shared agenda consistently for several months. Recent reports of increased pragmatism on the part of Maliki vis-à-vis Kurdish claims in the oil question could be another expression of a ruling clique that sees the necessity of first and foremost staying united in the face of growing parliamentary opposition of the kind seen in the debate over local elections - where Sunni and Shiite Islamists as well as secularists came together to challenge Maliki in a demand for early elections. After a long silence on the Basra operations, the parliamentary bloc of the Fadila party has within the past hours released a statement criticising the impact on civilian life in Basra and asking for an end to the operations “as soon as possible”. This is not quite as hostile as the reactions by the Sadrists, but it underscores internal Shiite divisions regarding control of Basra and shows how little room for manoeuvre Nuri al-Maliki really has. His remaining allies are ISCI, Daawa and the independent Shiites, but neither he nor the independents share ISCI’s preference for a weak central government. Unless Maliki is able to secure defections from ISCI (or a change of their policy in the federalism question) this seems to be a poor basis on which to build a coalition. With the exceptions of oil-rich Basra and Maysan, the Shiite-majority governorates south of Baghdad are frequently referred to by observers as the loyal fiefdoms of the Islamic Supreme Council of Iraq (ISCI), America’s and Iran’s principal partner among the Shiites of Iraq. However, on the eve of Arba‘in - a holiday marked by the Shiites as ending the 40-day mourning period for Imam Hussein that starts on Ashura every year - Shiite Islamist politicians in the southern city of Nasiriyya have engaged in an intense internal struggle about the local security forces, casting doubt on the image of ISCI hegemony. On 25 February, a two-thirds majority of the governorate council decided to dissolve the local security council and transfer its powers to the local police chief instead. This development is noteworthy for two reasons. Firstly, it is taking place in a setting - the provincial council - where no Sadrists are represented because they boycotted the January 2005 local elections. In other words, it is other Shiite Islamist forces, primarily Fadila but probably also at least some members of Daawa (Tanzim al-Iraq) that are behind the move. Whereas ISCI originally had managed to install their own man as governor of Nasiriyya, they are now being threatened from within in one of their supposedly “safe” constituencies. In this respect, Nasiriyya could be a bellwether for this autumn’s provincial elections: despite ISCI’s dominance in terms of numbers of governors, many of “their” governorates south of Baghdad (including Karbala, Qadisiyya and Samawa) have a rather complex party structure. The Sadrist challenge would come on top of this, as they are now signalling an eager desire to engage in electoral politics. Secondly, it is significant that ISCI’s opponents are deciding to strengthen the powers of the local police. This means that the image of full ISCI dominance in the security apparatuses of the south probably requires more nuance. In the case of Nasiriyya, it is actually ISCI who are now complaining about “party loyalties” exercising influence in the police force. That could be a result of increased local competition by other local parties asserting themselves in the security apparatus, but it could also be an expression of a conflict between ISCI and parts of the security forces that are more loyal to Nuri al-Maliki (and the central government) than to Abd al-Aziz al-Hakim - two leaders that increasingly have been at odds with each other over the past months. The national aspect of this struggle was also emphasised today as the Iraqi presidency council issued a statement to the effect that it had vetoed the recent law passed by parliament on the powers of the governorates not organised in a federal region. The law and especially its provisions for early provincial elections had been resisted by ISCI and the Kurds, who control the presidency and two of the three vice-presidential positions. The presidency council today emphasised that elections would go ahead on time, but the legislation is nevertheless sent back to parliament, ostensibly to sort out unspecified “constitutional” issues relating to the powers of the governors. The news about the assassination of Babel’s police chief Qays al-Ma‘muri today is particularly tragic to those who are hoping for the restoration of a non-sectarian Iraq where ethno-religious identities are in the background. For several years, Ma‘muri had stood out as an honest figure of authority in the mixed governorate of Babel, and had fought hard against militias regardless of their sectarian affiliations. Already, some newswire reports speak of “suspicion towards al-Qaida”. In the absence of further evidence, such accusations should be treated with caution. In several cases of violence in the Shiite-dominated parts of Iraq - including Basra before the imposition of a state of emergency in May 2006, and Najaf during the battle with the “Soldiers of Heaven” in January 2007 - vague references to al-Qaida were used by Iraqi government sources to gloss over episodes that clearly featured elements of intra-Shiite conflict. Subsequently, in August 2006, there was an attempt by the SCIRI-dominated provincial council to unseat Ma‘muri - but on that occasion he was defended by the central government and the interior ministry which by now had passed into the hands of the more independent Jawad al-Bulani. However, only a few days ago, Iraqi media reported renewed attempts by the ISCI-led provincial council to get rid of Ma‘muri by having him transferred to another part of the country. Also, there have been reports about conflicts between Ma‘muri and the Sadrists. Already today, some Iraqi press stories make accusations about Shiite factions being behind the assassination - with one source even blaming Nuri al-Maliki’s wing of the Daawa party. Whoever committed this crime, it is now up to the Iraqi government to conduct a credible and transparent investigation of the affair instead of automatically resorting to the predictable explanation of al-Qaida terrorism. Also Western commentators - particularly in the United States - have suggested that the Basra pullout represents “British defeat”. However, that judgment rather exaggerates the differences between “gangland Basra” and what is construed as the more “pacific” central parts of Iraq. The main difference between the US and the British approach does not relate to militia power as such, but rather to the extent to which there has been an attempt to manipulate the political games in which the militias take part. In the south, the British have largely maintained a neutral position, with a variety of armed factions coexisting in some kind of uneasy equilibrium, and with a diverse range of political forces gaining power: the Islamic Supreme Council of Iraq (ISCI, formerly SCIRI) in Samawa and Nasiriyya; the Sadrists in Amara; Fadila in Basra. In the rest of Iraq, US forces have largely allied themselves with Kurdish and ISCI parties and their militias (technically “integrated” in the security forces and the Iraqi army), and have supported these groups in their efforts to suppress internal dissent. Ideologically, this has been presented as an effort to build a “moderate” base; in practice it has involved giving consent to much highhandedness by local authorities. Thus, repression and militia rule are not absent from the US-controlled parts Iraq, but they take on a more orderly form than in the far south. In fact, in many ways it was the early US concessions to the ISCI-Kurdish militia axis that emboldened these parties to make maximalist demands on issues like Kirkuk and a single Shiite federal region and in turn created many of the subsequent complications in the process of national reconciliation in Iraq. Washington apparently had to do this because its own military strength in Iraq was deemed insufficient - something which British military authorities, for their part, were critical about early on. On 21 June 2007 in the evening, the Kurdistan Regional Government made public the draft law for financial revenues which has been negotiated with the central government in Baghdad and which will form part of a wider package of oil-related legislation also to include laws for the administration and organisation of the oil sector and foreign investment (“the oil law”), the reorganisation of the oil ministry, as well as the reconstitution of the Iraq National Oil Company (INOC). Until now, the focus has been on the “oil law” itself, of which a final draft was leaked in March this year. This law should since have been presented to parliament but negotiations have stalled, mainly due to differences between the Kurds and Baghdad over which fields should be defined as open for foreign investment - where the Kurds are pressing for an enhanced foreign role. · As with many of the laws of today’s Iraq, there are obvious areas that need more detailed legislation or where ambiguities may arise (e.g. the law for the future fund and conflicts between regions and central government). In these contexts, the absence of a functioning constitutional court represents an acute problem, and the text of the law reflects this problem by partially referring to the constitution but also proposing certain ad hoc rules of its own. The language of the law clearly demonstrates that above all this has been a bilateral negotiation process between Arbil and Baghdad, and the Kurdish position is interesting: on the one hand they have ensured a theoretical regional quota for every dinar that goes into the state coffers (i.e. not only oil, but also taxes - possibly in anticipation of changes to the constitution that could grant taxation powers to the central government); on the other hand they have also agreed to two headings under which deductions from the total income can be made before the distribution of revenue is initiated. In this way, the law should give the Kurds a stake in maintaining a functioning central government and a working relationship with Baghdad, and it is only to be hoped that a similar attitude should prevail also in the stalled negotiations over the oil law itself. So far external actors like the United States have focused more on revenue-sharing than on the organisation of the oil sector. But whilst Washington may find what it seeks in this part of the oil package, many Iraqis are more interested in adjustments in a more centrist direction with regard to the oil law itself (concerning the organisation of the oil sector) - or may wish for more fundamental changes to the overall constitutional framework before signing up for any fateful decisions concerning the future wealth of their country. The latest reports on the constitutional revision process is that yesterday’s deadline for a report to be presented to parliament has passed and that there is talk of further postponement. 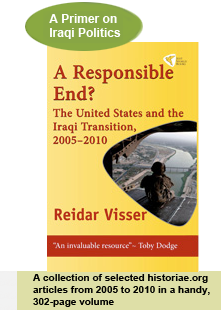 27 April 2007: Towards a Political Earthquake in Basra? The political situation in Basra has been tumultuous for some time. But for the first time since January 2005, serious questions have emerged about the internal stability of the governing coalition in Iraq’s most important oil city. This week, there have been claims that Fadila’s three coalition partners (the secular Wifaq, Harakat al-Daawa and another “independent” Islamist party) have entered into a new “moderate” alliance (Al-Wasat), separate from both Fadila and SCIRI. This coincided with renewed calls by SCIRI for the Fadila governor of Basra to resign. Importantly, today, sources supposedly speaking for the newly formed Wasat have told reporters that they too demand the governor’s resignation. If confirmed, this could mean the end of Fadila rule in Basra. However, according to Iraqi law (which in this case means CPA order no. 71 on local government), dismissing the governor would require a two-thirds majority, or 28 out of 41 assembly seats. Currently, SCIRI with its coalition partners control around 20 seats, and the newly formed Wasat bloc holds 9 seats - if the bloc exists, that is. In other words, the entire Wasat coalition would have to abandon Fadila if any change were to be brought about. There is much to suggest that there is not yet any consensus on this: the “sources” from al-Wasat were unnamed, and Fadila sources deny that any move to unseat the governor is underway. In fact, one of the putative Wasat members (the Tajammu‘ ‘Iraq al-Mustaqbal, which holds two seats on the local council) denied having any connection whatsoever with the new “bloc”. SCIRI will probably try to play up the confused situation as much as possible, but until there is a clear two-thirds majority opposed to Fadila, the current governor may well survive in his somewhat precarious position. 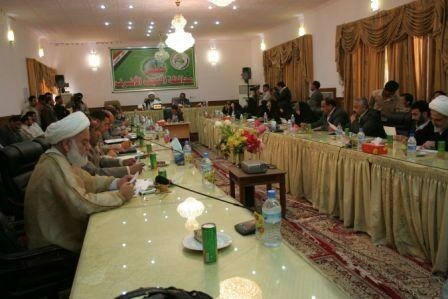 A conference held in Baghdad on 14 April by members of the Council for the Region of the South (Majlis Iqlim al-Janub) has attracted some interest in the pan-Arab press. The council works for the establishment of a southern region limited to Basra, Maysan and Dhi Qar that would create a wedge internally among the Shiites by concentrating all the oil wealth in a single region and leaving six Shiite governorates without any oil. The goals of the southern regionalists are well known. They have been pursued for more than two years, primarily by the Fadila party, but also by some secularists in Basra and by tribal leaders in Maysan and Dhi Qar (for background, see for instance http://historiae.org/oil.asp ) The interesting aspect about this story is the identity of the regionalists in question. No names are given in the most recent press report, but an organisation with an identical name was founded in Nasiriyya in May last year - so far without attracting much attention from outsiders. Intriguingly, the leading figures behind that move were from SCIRI, Daawa and various smaller political groups in Nasiriyya. The Sadrists and Fadila were not represented. Of course, the central leadership of SCIRI favours a project which competes with the Region of the South (three governorates) - the far bigger Region of the Centre and the South (nine governorates), and as such the SCIRI-led organisation in favour of a small-scale south at first comes across as an astonishing contradiction. There are at least two possible explanations. Firstly, regional sentiment in the far south of Iraq is very pronounced and often overrides the ideology of the central leadership of the national parties. 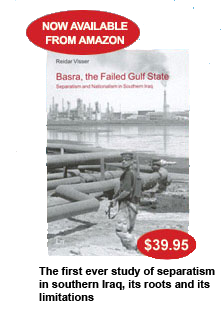 This has been seen in Fadila (which has always been more localist in Basra), Daawa, among the Sadrists of Maysan (who sometimes employ regionalist rhetoric in the context of oil), and even among SCIRI members in Basra (some of whom continued to focus on Basra and the far south even after the central leadership had declared a single Shiite region as their goal.) The Nasiriyya-based Council for the Region of the South could be yet another example of regionalist sentiment cutting across ideological affiliations. Alternatively, this may be another instance of a phenomenon seen elsewhere in the south, where SCIRI have created "copycat" organisations in order to gain a foothold in a region where they traditionally have had problems. In Maysan, for instance, there are two Hizbollahs, one tribal and quite secularist, another pro-SCIRI and more Islamist. SCIRI are clearly trying to capitalise on the ongoing tension in the Sadrist camp in Basra between Fadila and followers of Muqtada al-Sadr, and theoretically this latest move by the Council for the Region of the South could have to do with another attempt at breaking down resistance to SCIRI in the far south, by co-opting and diluting it. The fact that the foundation of Majlis Iqlim al-Janub back in 2006 was widely reported in SCIRI and Badr media might suggest that the latter interpretation is the more plausible one. There are intriguing implications to the recent arrest by a joint US-Iraqi force of two members of the provincial council in Kut. Behind the names of the arrestees some interesting political ties emerge: the two happen to be very closely affiliated with SCIRI. 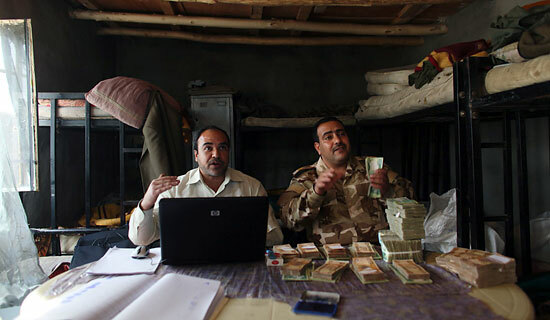 One of them, Fadil Jasim, was also arrested by US forces in 2005 in connection with allegations about election fraud in Kut - an episode in which charges about Iranian involvement were put forward. These are remarkable developments at a time when Washington seems to be moving ever closer to consolidating SCIRI as its principal partner among the Shiites in Iraq. In fact, SCIRI sources claim that President Bush spoke on the telephone to Abd al-Aziz al-Hakim as late as 10 January in the evening Baghdad time, just hours before his address to the nation about Iraq. At the same time, there are reports from other parts of Iraq where local SCIRI elements have protested actions by the Maliki government. During the recent raid on the notorious “serious crimes unit” of the Basra police, SCIRI members of the provincial council were loud in protesting the incident. What is going on here is unclear. Has SCIRI decided to launch some kind of US-assisted internal purge, possibly with the aim of presenting itself as a “moderate” partner for Washington? Is Maliki finally beginning to override the narrow interests of some of the militant elements that form part of his ruling coalition? Or is the United States acting unilaterally? Some reports describe the incident as an “American” rather than as a “joint” operation, and it more or less coincided with US arrests of Iranian “diplomats” in Iraq - detentions about which SCIRI strongly protested, especially the ones that took place inside the compound of Abd al-Aziz al-Hakim in Baghdad.